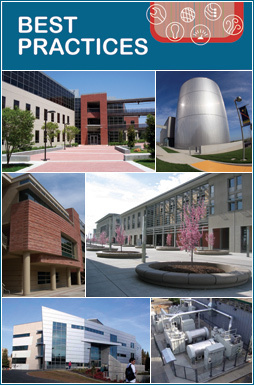 The Best Practice Awards highlight successful and cost-effective projects on UC, CSU and CCC campuses that implement green building technologies, sustainable design strategies, and energy-efficient operations. The awards are presented each summer at the annual California Higher Education Sustainability Conference. The Best Practice case studies showcase each award-winning project, making the strategies and achievements available as an educational tool to assist all campuses in achieving energy-efficiency and sustainability goals. See the award program website for information about submitting your project.